What’s the first thing people tend to ask about double – or triple – glazing? Just at the moment it’s ‘energy efficiency’. This is a trend we’ve seen emerging over the past 12 months, from customers who are looking for ways to use less energy and save money on their bills. Double glazing was created to keep the heat in, but it’s got more sophisticated over the years. So in this blog we’ll look at how energy efficiency is built into every aspect uPVC windows and frames. We tend to think of glazing as the major component of double glazing, but the frames play a large part in effective insulation. uPVC is a strong, lightweight plastic that’s a natural insulator. Additionally, the construction of the frame adds to its effectiveness. Numerous contoured chambers act as barriers, stopping cold air from getting in and heat from escaping out. Whether you opt for double or triple glazing, the distinctive common feature is the ‘spacer bar’ between the two or three panes of glass. The air chambers are lined with an aluminium strip which is a low conductor of heat. This, as well as the chamber itself, prevents heat from passing through the glass. To further aid energy efficiency, the chamber can be filled with a gas which provides a barrier to air leakage. The type of glass used double or triple glazed windows is carefully treated to maximise its efficiency. “Low emissivity glass or low-e glass”, has an invisible coating designed to reflect heat back into your home. And it’s not only heat that can’t get through low-e glass; it provides high quality sound-proofing. It’s particularly favoured by customers living near busy roads or under a flight path! U-Value – this is the measurement of heat lost per square metre, when the outside temperature is 1° cooler than inside. Solar Gain or ‘G Value’ – this is the increase in temperature as the result of heating from the sun, or solar radiation. Air Leakage – a measurement of the leak rate of all the components on the window and its frame. The Window Energy Rating (WER) is made up of all three calculations. It’s then converted into as sliding scale of rainbow coloured bands from A++ at the top to G at the bottom. Windows rated as A++ have the lowest U-Value and can be relied upon, therefore, to deliver the highest savings on energy bills. 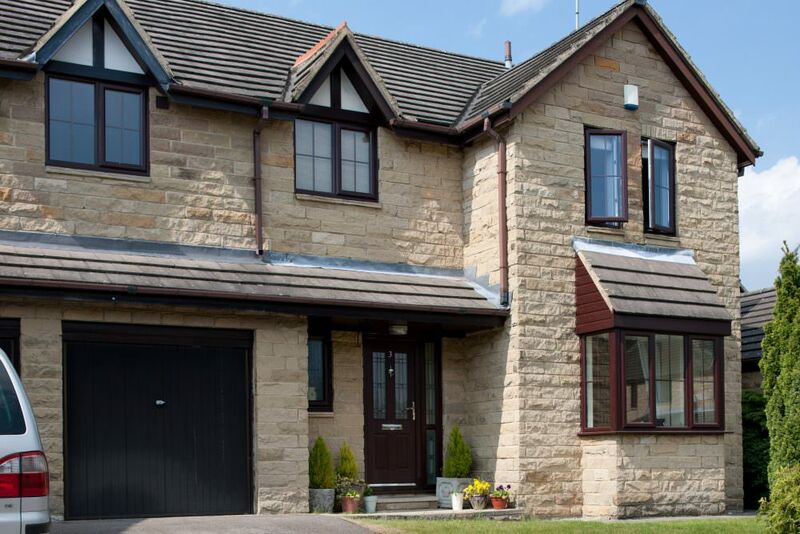 Our impressive range of Liniar uPVC double and triple glazed windows delivers consistent A+ and A++ WER ratings, making them the best value windows to have fitted in your home. As well as keeping your home warm in the winter, and cool in the summer, they also provide excellent soundproofing, and – best of all – they look great and last for up to 20 years.